Editor’s note: As the 2018 gubernatorial election approaches, on Tuesday, November 6, Tribuna has decided to provide its readers with a side-by-side comparison of where the two major party candidates stand on what we believe is the most pressing issue of this election cycle – reforming Connecticut’s tax system. The information below was gathered from both candidates’ official websites as well as statements made in public debates. For more information on the 2018 elections, visit the Secretary of State website to find out if you are registered to vote and where your polling place is located at https://portal.ct.gov/SOTS. For a complete list of all candidates on the ballot, visit: https://uselections.com/ct/ct.htm. 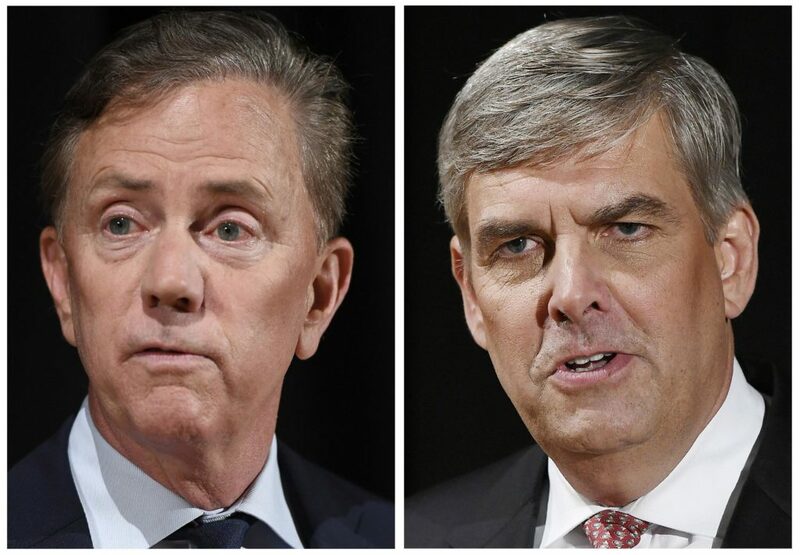 Born and raised in New Haven, Connecticut, Bob Stefanowski is a former business executive of General Electric, 3i Group plc, UBS and Dollar Financial Group. On August 14, 2018, Stefanowski won the Republican primary in the 2018 Connecticut gubernatorial election. “High Taxes – We have the highest tax burden in the nation. We in Connecticut have to work four weeks longer than the average American just to cover our tax bills! We need to work until May 21 – vs. April 23 on average (as reported by the Tax Foundation). Eliminating the Corporate and Business Use taxes, reducing regulatory interference will provide stimulus for companies to rediscover everything our state has to offer. Our corporate tax raises less than 5.0% of the state’s total tax revenues, but Connecticut is uncompetitive with its neighbors and rivals. Repeal is an affordable and important way to carve a competitive niche relative to economic development marketing. In recent months, the headquarters of GE, Alexion, and Aetna left. 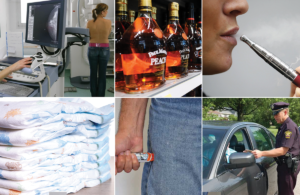 Bristol-Myers and Konica Minolta have also announced plans to depart. Since 1991, we have seen the slowest job growth in the entire nation. We lost 6,600 jobs in October 2017 alone. Our labor force participation continues to decline – only 66% of the adult population is working or looking for work – 1/3 are on the sidelines. Introduce an across-the-board income tax cut over eight years tied to the attainment of revenue targets. Our income tax destroys growth! For the 15 years preceding the Connecticut State Income Tax (1976 to 1991), our state economy grew faster than any other state. For the 25 years after the tax (1991-2016), our growth is 46th in the nation. Since 1960, only 11 states have introduced a state income tax. In each of those 11 states, every economic metric is down – population, gross state product, and total tax revenues. Adding an income tax reduced gross tax revenue – in every instance! A study by the Cato Institute showed that over 5 years: the 5 states that increased taxes the most had zero job growth and the 5 states that decreased taxes had the most job growth at 10.8%. The majority of states have already done away with both the gift and estate taxes as they drive residents to other tax-free states! We are the only state with both an estate and a gift tax! They raise only about 1 percent of the state’s total tax revenues each year – but cost so much more than that in the slowing of our economy. 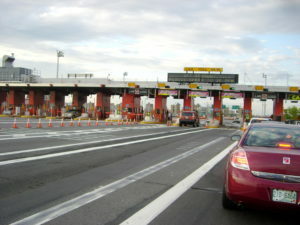 These taxes are causing more people to leave Connecticut than any other state (except West Virginia). An astounding $6 billion of adjusted gross income has left for Florida alone in the past 10 years. Lamont is the founder of Lamont Digital Systems, a telecommunications company. Among the company’s divisions was Campus Televideo, which provided cable television services to hundreds of university campuses. Lamont sold the company in 2018, prior to the gubernatorial primary. “I’m proposing a plan to give Connecticut families a property tax cut. Decades of fiscal mismanagement mean we can’t afford pie-in-the-sky promises, so I’m proposing a smart, achievable commitment to responsibly give middle class families the tax relief they deserve. It’s not only the right thing to do for working families; property tax relief is key to making Connecticut a better place to start or grow a business and create jobs. Connecticut’s property tax system is broken. We rely far too much on taxing people’s homes and cars to fund essential local services. And towns and cities with the greatest local needs also have the greatest difficulty raising local revenues, with less local wealth to draw on and much of their local property exempt from taxation. Municipalities must become more efficient and reduce costs – but our state must also provide immediate relief to hard-pressed middle-class families. High-need towns and cities have schools to fund, roads to repair, and police and firefighters to keep on the job. With flat or declining local wealth, they are backed into ever-higher property tax rates – making it harder to attract residents and businesses and keep long-time locals in their homes. Development is distorted, too, creating incentives for towns to limit access to families with school aged children and making it less attractive to develop affordable housing in our cities. Worse still, the burden of high property taxes is unfairly distributed: lower- and middle-income families and seniors are hit the hardest. And this is a problem that isn’t unique to homeowners: 20% or more of the cost of rent in Connecticut is due to local property taxes. Reforming this broken system is imperative, but it will take time to turn around – and working families in Connecticut can’t afford to wait. Recently, the middle class lost one of the last breaks it got. Governor Malloy rolled back the property tax credit, effectively raising taxes on the middle class. In my first biennial budget as governor, I will restore and expand the property tax credit for working families. Starting in the second year of my first budget, I will reverse Malloy’s tax hike by raising the property tax credit for existing beneficiaries by 50%. And I’ll expand eligibility, allowing any taxpayer with property tax liability to participate and growing the number of Connecticut residents who can get a break. If your household earns up to $160,500 a year, you’ll qualify for relief from property taxes paid on your home or your car. 900,000 taxpayers in homes with more than 2 million Connecticut residents would see a benefit. About half of these residents will be getting much-needed property tax relief for the first time in four years. That is meaningful relief, and it’s delivered responsibly at a cost of around just 1% of the most recent annual state budget. 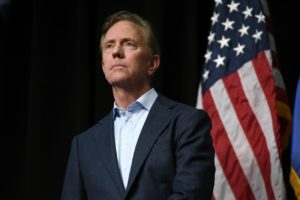 For more information on both candidates, visit https://nedlamont.com/ or https://www.bobforgovernor.com.